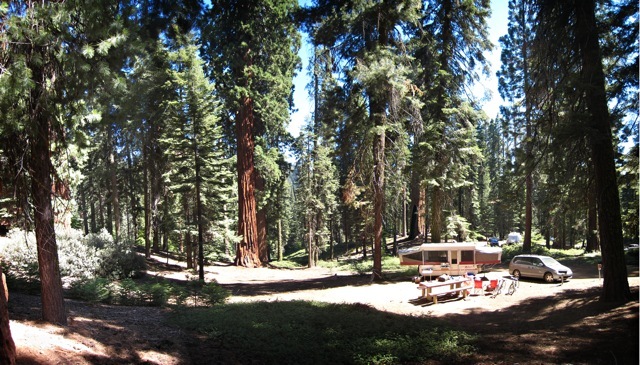 We returned home from the Sequoia National Forest Monday evening. Our trip was lovely. I’m missing the simplicity of our days spent under the majestic trees. 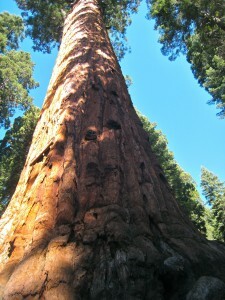 A full grown Sequoia is quite a sight to behold. And since I’m prone to seeing the world through analogy, their massive thousands-of-years old trunks spoke to me (not literally…I’m not that weird) but reminded just how short my life really is in the context of time. 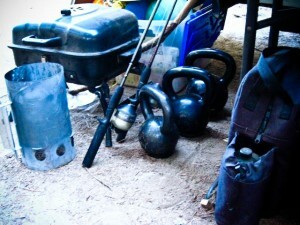 They inspired me to embrace rather than fear the future and reminded of the tragedy of complacency. Off of the Sequoia branches fall small cones each carrying seeds no more than a few millimeters in length. As I held a little cone in my hand my mind marveled at the fact that these magnificent trees rising hundreds of feet out of the earth started from such humble beginnings. 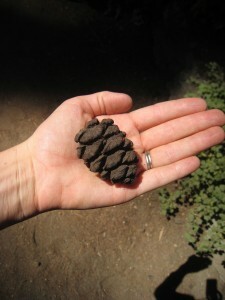 I thought of how many people are like the humble Sequoia cone. As the cone hold seeds we each hold unique gifts and strengths. For some, our lives may feel small and insignificant but I’m certain there is an enormous amount of potential in us waiting to take root. (I am unapologetic if, for some, I sound a little too “Hallmark-ish” because I’m convinced this is true.) 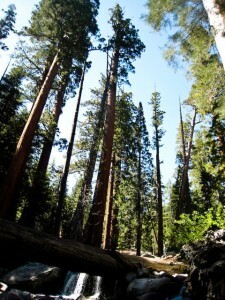 Sequoia trees don’t sprout up overnight. It takes thousands of years for each tree to grow into it’s full glory. While, we many not have thousands of years, we do have lifetime to continue to grow and reach for the sky. Often many of our gifts never make it out of the cone. It’s unfortunate. In our instant gratification microwaved culture, it’s easy to lose patience and consequently hope leaving a small cone on the forest floor to look up at the trees above. But if we hold onto the hope that our lives do mean something we can release the seed from it’s cone and allow our lives to take root and grow into something purposeful. Then we can offer shade and strength for those who are struggling to take root around us and in doing so we are helping to make the world a just little bit better. 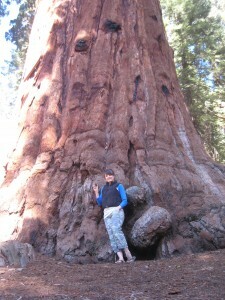 Holding a cone at the base of a Sequoia. I have really small hands too! …. tears in my eyes as I finished reading this post. Beautiful analogy. Have a great weekend Jenn! absolutely LOVE this post. you are awesome jen.